Rahul's Blog and collections: Adieu 2011, Welcome 2012! Year 2011 has been a special one with so much happening! It will go down in the history as the one with largest number of natural disasters, starting with an earthquake in Japan on 11 Mar, one of the most intense ever recorded in human history on a Richter scale 9! The widespread disaster it struck and nuclear meltdown of the reactors was horrifying! It left more than 20000 people dead in the wake. The floods in Thailand in September left more than 2 million devastated and homeless and more than 700 killed. The floods also severely affected major Japanese companies ( about 450 in all) which are located in Ayutthaya industrial complex disrupting the supply chain world over. Osama Bin Laden was finally tracked down by the US Navy Seals in the confines of Abbotabad in Pakistan and eliminated after a cat and mouse game which lasted more than a decade ever since the twin World Trade Centre towers were knocked down by Al Quaida. ‘Arab Spring’ uprising in the middle east saw the world bidding goodbye to Hosnei Mubarak in Egypt and President Zine El Abidine Ben Ali in Tunisia., and Muhamad Gaddafi in Libya. North Korean dictator Kim JongII died on 17 Dec. Massive earthquake on Richter scale 6.8 rocked Christchurch in New Zealand leaving more than 180 dead, and wide spread destruction all over! Eurozone was hit by the worst ever debt crisis. The financial crisis was triggered by staggering debt in Greece and then engulfing Italy, Germany and 17 other European nations. The Bullet train in China rammed into a another speeding train on 23 July causing severe damages and destruction. Steve Jobs the founder of Apple computer died on 05 Oct at an age of 56! The world population touched a figure of 7 billion and the Chinese economy became the second biggest in the world surpassing that of Japan which held the record for 42 years! An year of dark clouds had a silver lining in form of Prince William wedding to Kate Middleton on 29 Apr and a daughter being born to Aishwarya Rai and Abhishek Bachhan on 16 Nov. The LokPal Bill to curb corruption was passed in the the lower house in parliament at the stroke of midnight 27 Dec!! A new year will bring in new aspirations and new resolutions! We hope this New Year will be happier one where lesser people die due malnutrition, hunger and disease. The technology will bring in more benefits to the mankind! There would be lesser number of wars and terror and greater respect to preserve the nature for the new generation to see this wonderful creation of god called 'earth'! I wish all my fellow bloggers a Happy New Year 2012! A succinct description of all that transpired in 2011. 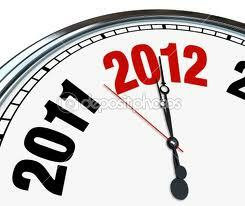 If we all don't get killed in 2012, let the world move into a better phase with less destruction and more happiness. Wishing you a wonderful year ahead!! With the disasters, many important personalities also left us this year...Shammi Kapoor, Dev Anand, Tiger Pataudi to name a few. Hope the New Year brings in more days of joy and lesser despair. Have a grt year ahead. @ The Narcissist- What you say is right! However, we need to always keep the hope alive for a better tomorrow. @ Khilesh- Wishing you the same! 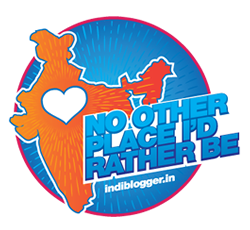 Welcome to my blog..
@ Alka- As I said,we still need to keep a hope for a better year ahead.Wish you and your family a bright year ahead! @ PeeVeee- Ha.. Ha..Nice remark! Welcome to my blog and wish you a very happy year ahead..
@ Eden- Thank you and same to you and your family! @ Francesca- Sure! Let us keep that hope alive! @ Lipsy- Thanks and wishing you the same! @ Shreya- So true!Let us hope for happy days ahead :)Wishing you lots of smiles in the New Year! @ Rosette Princess- Good to see you again! It was wonderful to come across your sweet blog! Wishing you very happy times in the New Year and may you write lovely poetry as in the year gone by! When you mention it all at once like that, yeah, this was a pretty crazy year. 2011 was an eventful year. Lot happened and we lost so many great people. @ Gayatri- Thanks a lot! Wishing you and your family a New Year full of happiness! @ Brian- Yes we can only hope of a peaceful year ahead! @ Saru- So you were in the august Royal company:)Wishing you and your family a wonderful year ahead and even more personal laurels and accolades to your lovely blog! nice post , happy new year. Thanks for the round-up of the years major events. I had forgotten about most of them. Its a time to be thankful for everything we have and a time of learning from these disasters. Those are some great and thoughtful aspirations, I second them. Wishing you a wonderful New Years! 2011 has also been the year of the most deaths as far as celebrities/well known artists/actors are concerned. one after another in quick succession. @ Purvi-Thanks a lot Purvi, for your nice comment!Wishing you and your family a wonderful year ahead! @ Shashi- Thank You! Wishing you a Happy New Year too! @ Sam- Thanks a lot for seconding my aspirations!Best wishes to youfor the New Year and beyond..
@ Sujatha- Yes a lot many stars went into oblivion!May their souls RIP.Best wishes to you and family for the New Year! 2011 has been a very eventful year. I know that 2012 is going to be more positive and hopeful! Well, that's my wish. I hope for some nice news for the hole world in 2012. @ Yashi= Welcome to my blog! Wish you a Happy New Year too! hmmm.. actually forgot most of it ...only after reading the post, I remembered them one by one. Hope coming year will bring peace and happiness to all .. Wishing you a very happy new year !! Thanks Ramya. Wishing you a New Year full of happiness! It was a year of uprisings, strife, change...hope 2012 is better. Very true Purba!Wishing you a very Happy New Year too! Yes what a year it has been- and that just on the international front. I do join you in welcoming 2012 & wanting it to be a bit less dramatic :)...we can do with some peace for awhile. Not sure why your blog is not showing up on my blog roll even though I've been following you- when I attempted to 'follow' again, it said "You are already following this blog"- but then I don't see you on the blog roll- grrrrr....another disaster from 2011?? Let us look forward to positive things happening in the coming year. Great post. You write very well. 2011 was a crazy year, wasn't it? Let's hope 2012 will have many less (or no!) catastrophes.